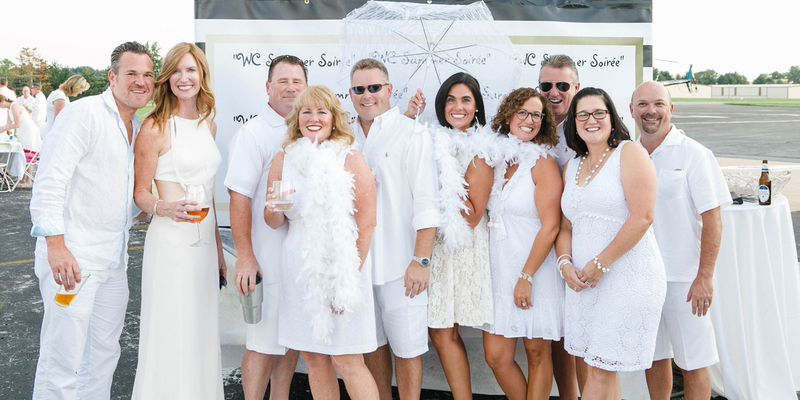 If you have heard of “Diner En Blanc”, in large cities like Philadelphia or New York City, then you will quickly understand the concept we are bringing to West Chester. Patrons dress all in white, from head to toe, and are bought together by a love of helping others in our own neighborhoods. Guests bring their own picnic dinner and cocktails to share a fun evening with family and friends. We will provide long tables for guests with white tablecloths, fabulous live music, dancing under the stars, and memories to last a lifetime! When will we find out the secret location of the event? This will be updated in the summer of 2019. Ticket sales will begin on July 1, 2019. Sure! In order to “Reserve” a table you must purchase 10 tickets. Once this is complete, your table will be “RESERVED’ under your last name. You must communicate with your table friends so duplicate tickets are not purchased and to alleviate any confusion. If you buy less than 10, it is open seating with other guests to make a table of 10. We are providing long, banquet tables of 10 which include chairs and white tablecloths. Doors will open at 6:30pm for those wishing to decorate their tables! Please respect the property owners by adhering to arrival time. No, your name will be on guest list at check-in. There are no refunds. This event is being held rain or shine. Who is welcome to the WC Summer Soiree? For legal reasons, this is is an adult only event over the age of 21. Also, please plan on leaving your pets at home. We will offer prizes to the top three groups with fabulous table décor. We thank this year’s judges, representatives from the charitable organizations who will benefit from this year’s proceeds. We will pack a box with the sandwich of your choice, two side salads and cookies. All dinners will be delivered to “surprise” location for pickup. Please place all dinner orders by August 19, 2019 by calling Arianna’s Gourmet Cafe.